March Madness begins with well deserved awards for The Bridge actors! After a not so quiet start to 2014 with Matthew’s Good Wife appearance and consecutive music videos, Matthew’s year is gearing up to be a great year, full of new opportunities! We are all looking forward to Season 2 of The Bridge which begins filming in a few weeks before it airs on FX in July. Don’t forget Matthew and Emily Rios have both been made regulars this season, so we are excited to see more screen time for their characters, Daniel Frye and Adriana Mendez. Matthew presented Emily with an Outstanding Performance in a Television Series award at the 17th Annual National Hispanic Media Coalition Gala. 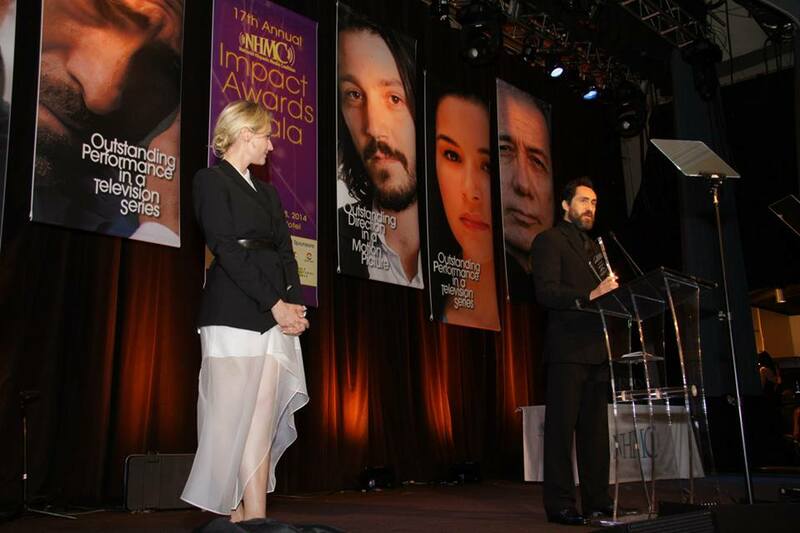 The NHMC Impact Awards recognizes the outstanding achievements and contributions to the positive portrayals of Latinos in media. Held at the beautiful Beverly Wilshire Hotel in Beverly Hills, it was a star studded evening to celebrate Hollywood’s increasingly inclusive media. Matthew’s wonderful speech is below as well as Emily’s acceptance speech where she says she “understands her public responsibility in this industry.” Didn’t she look gorgeous? Congratulations Emily! We love your work and can’t wait to see what else you and Matthew do on the show. Their Bridge co-stars, Demian Bichir and Diane Kruger were also in attendance, as Demian was also awarded the fellow Outstanding Performance in a Television Series by Diane! Congratulations are in order for Demian too as well as Matthew and Diane on their touching speeches and The Bridge for being recognised by the NHMC. We look forward to more awards being won by this talented cast on this great show, as Season 2 gears up for filming later this month! 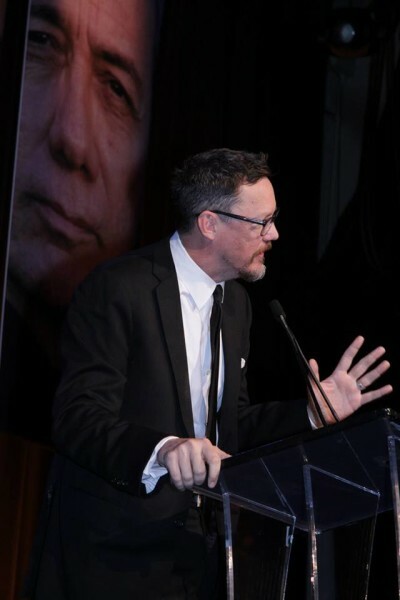 Sources: Photos taken by Brian Biery, sourced from the NHMC Impact Awards Facebook album and Flickr. Videos from YouTube.